Southern Californian nursing student learning how to care for plants!! Indoor plants, dogs, and coffee! 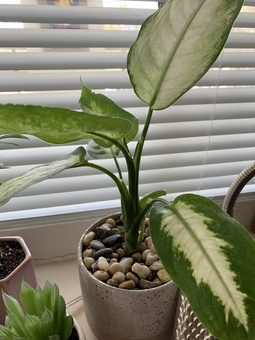 I have a seemingly healthy pothos that has been growing really well for a long time! The longest fine has been losing leaves for the past month or so. They turn yellow and then fall off. 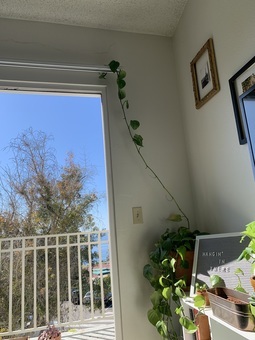 There have been a couple leaves in the base of the pot doing the same, the the long vine is the only one losing leaves! All the other vines look totally normal. Does this mean its time to prune? I’m thinking about cutting that vine up and re planting them in the pot. Usually the long branch isn’t hanging like that, it’s usually in the shade. It used to be in the sun but then I rotated it. Propagating plants might sound like a drag, but depending on what type of plant you’re working with, it can be simple. Here's everything you need to know to propagate a few of your favorite plants.